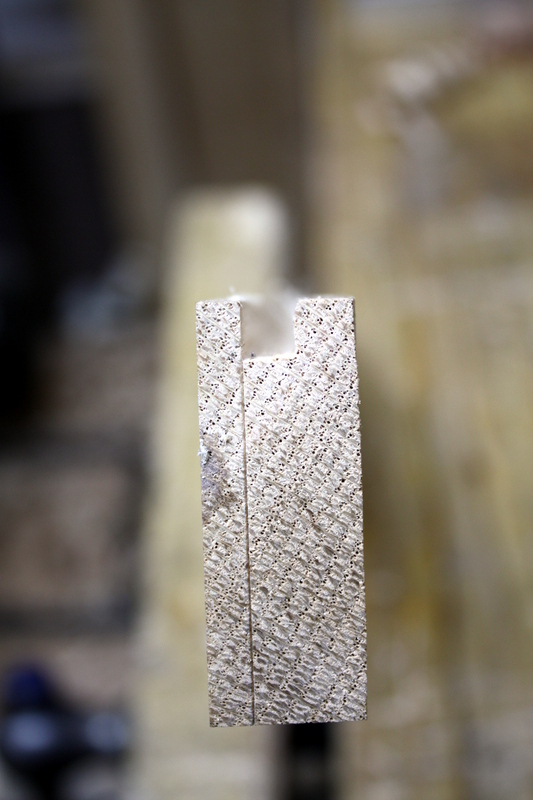 Line up the reference face of the rail with the stile and nick the corner with the marking knife at the edges of the groove on the stile. 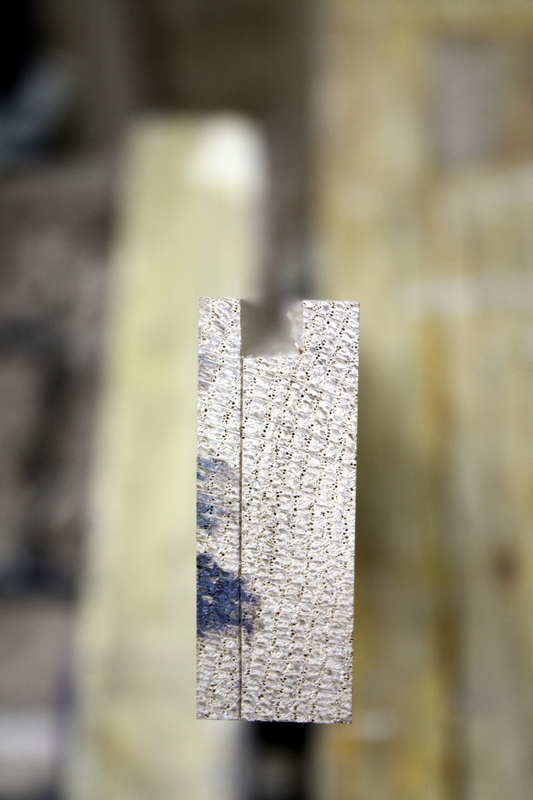 Then use the marking gauge to run those lines around three of the four edges and reinforcing the lines on the edge with the groove using the cutting gauge. 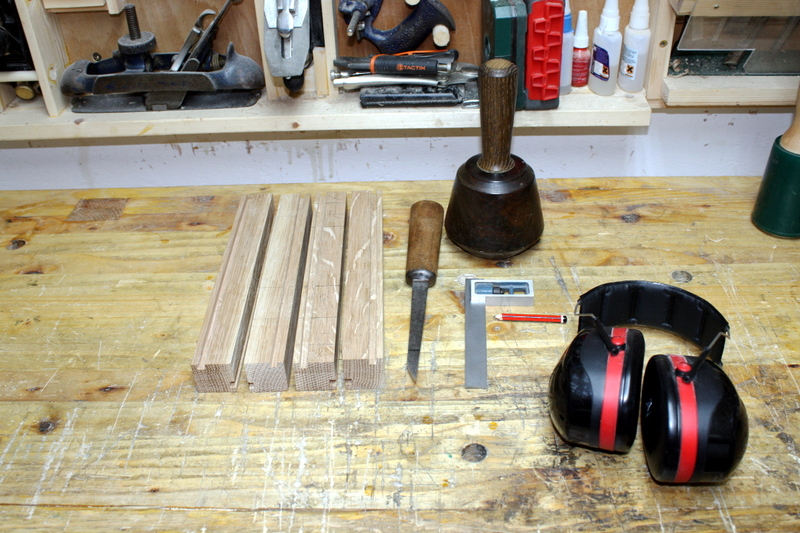 Then into the vice and plough the groove out with the #044. 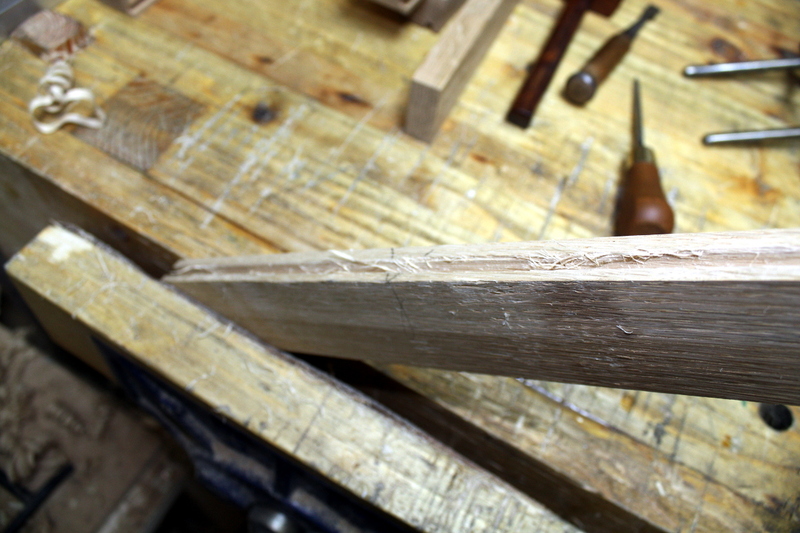 But the inside edge is a bit rounded and ragged which could cause issues, so out with the japanese chisel (which I’m starting to enjoy using – it’s great for anything involving chopping but for paring it leaves a lot to be desired) and the narex to clean up. And when the straggly bits on the bottom are cleared out and the inside edge is straightened up, a single pass with the #04 along the top to tidy up and we’re done. 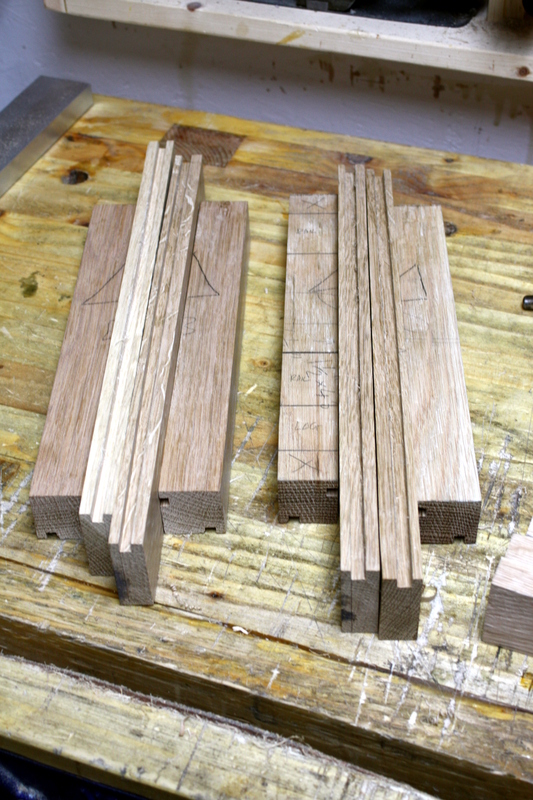 …time for the short rails. 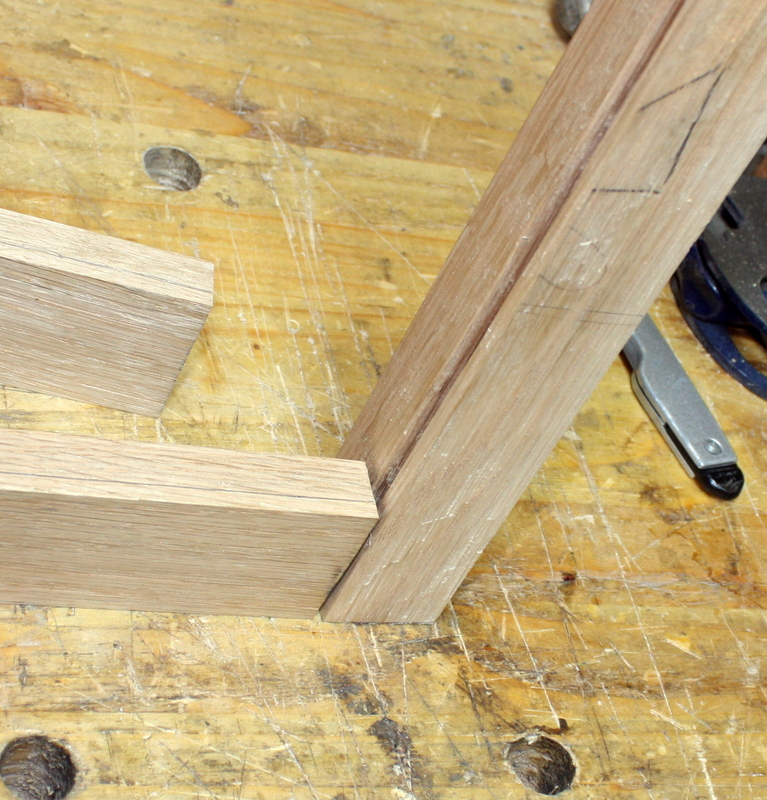 Of course, you don’t really need the groove on the frame, you could use a simple rabbet. I’ll have to think about that a bit. 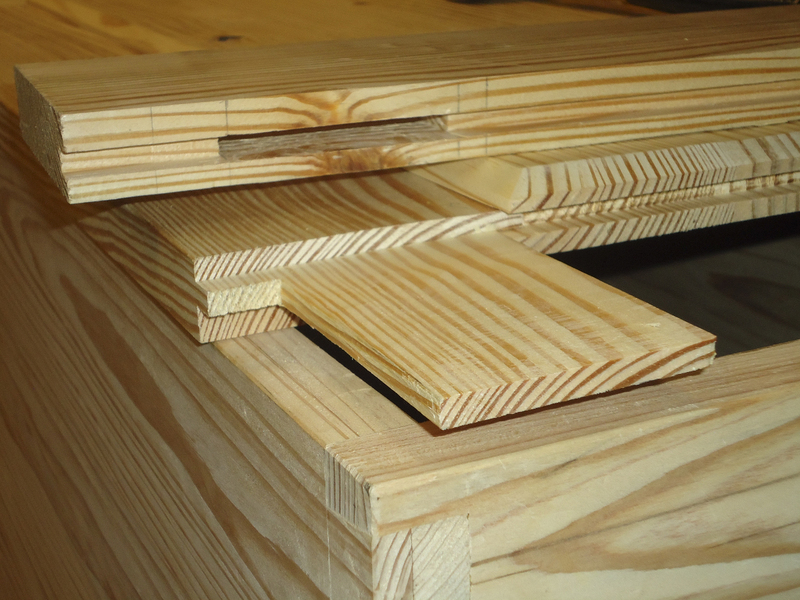 The panel does have to be grooved though, because I want to shape the half-inch or so that would be proud of the frame and I’d like to be sure the line between lid frame and lid panel is hidden away. 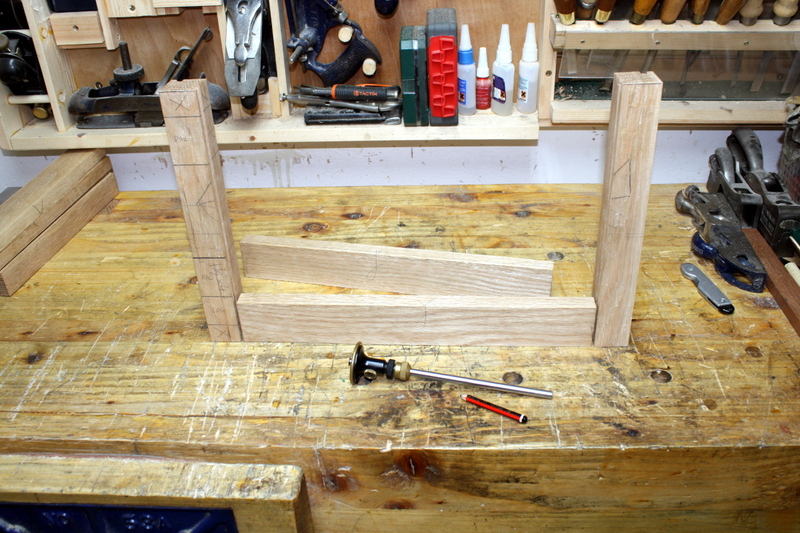 With the parts skim planed and set out (I’ll rip out the frame rails and stiles tomorrow), and the floorboards already picked out (I have some cedar for that), there was something I wanted to check, namely whether parts in the vice are definitely at right angles to the workbench top; that would explain the slight angle on the base of the 044’s grooves. Seems like it’s both. 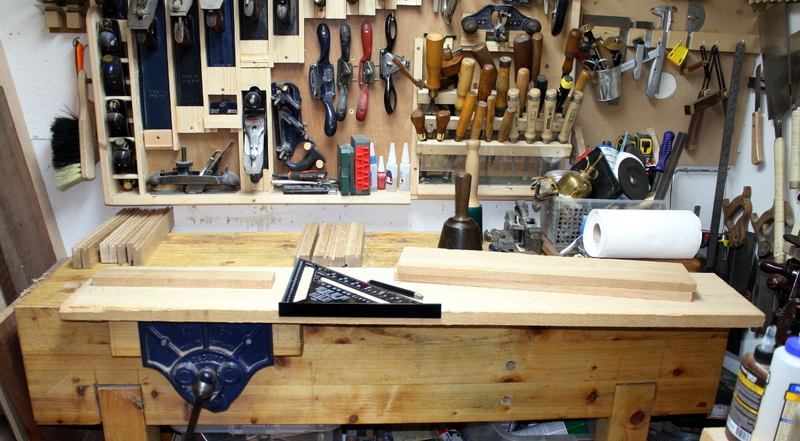 Well, I guess I can’t think of the corner of the workbench as a square anymore. 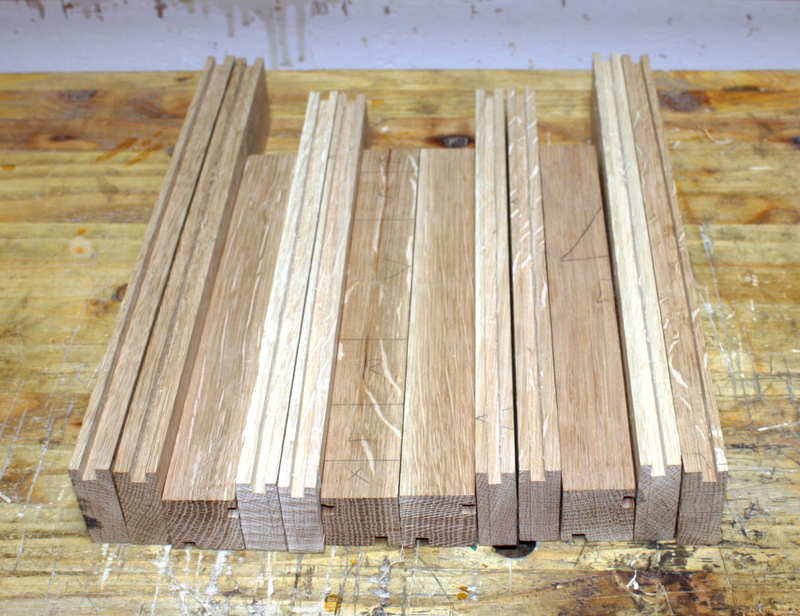 I suppose it’s not bad for cheap 2×4 material, but I do see the attraction of hardwood benches now. That done, I laid out tomorrow’s job, wrapped up for the night and hobbled back indoors. – idem for the faces of the bench top. 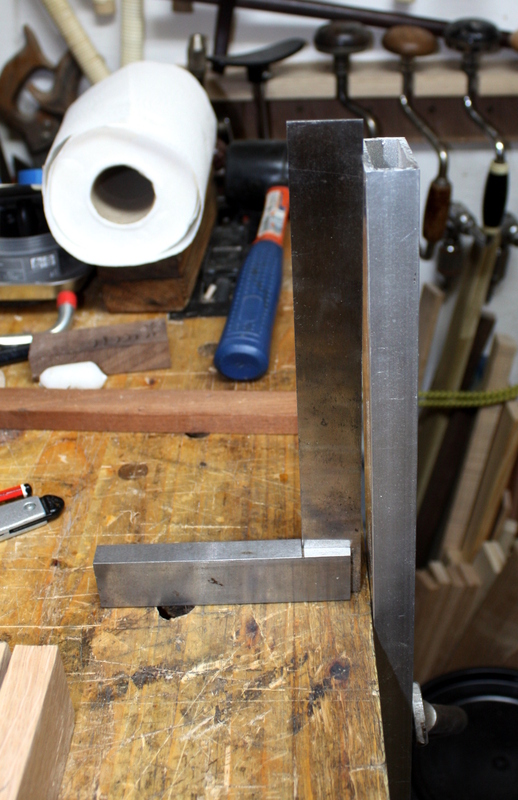 Theoretically, if the fence is parallel to the iron side and pressed against the piece, the groove should be parallel to the face whatever the bench-top/apron inclination. 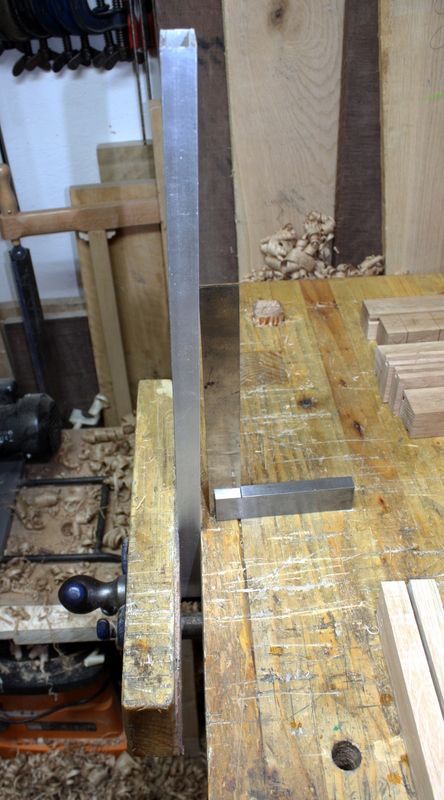 I am always fascinated by Paul Sellers cutting a board square while it is clamped askew in his vise. Is the iron slightly proud of the skate on the right? 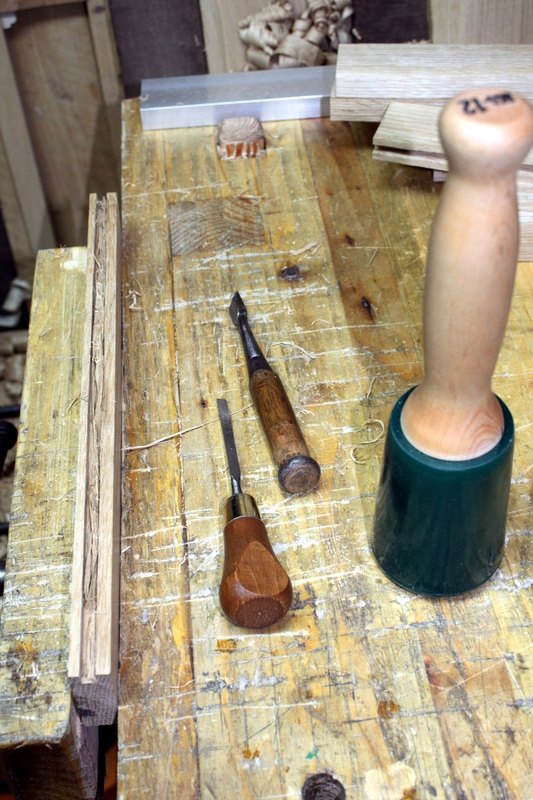 I think what has happened is that the apron’s moved since the bench was made Sylvain; it was square when I made it! 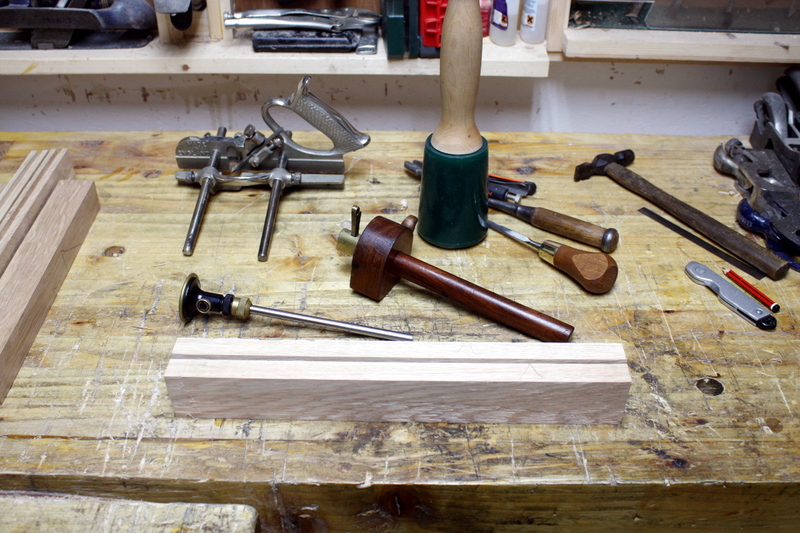 The vice does exacerbate it because like all the record woodworking vices, it doesn’t clamp the jaws in parallel but pinches at the top (that’s by design rather than an accident). I think I just need to build a sticking board with an adjustable fence for this sort of thing. And yes, I think the iron may not be perfect (the fence itself is fine, I checked).